Words have power. They can lift us up. They can express deep emotions like love, gratefulness, and joy. But they can also hurt and be misused. As Niccolo Machiavelli makes clear, language can be twisted in order to achieve an end. It can be used as illusion and there’s agenda behind illusion. George Orwell’s book 1984 also reminds us of this. In fact, the origins of the term “doublespeak” — deliberately ambiguous speech — is traced back to that book. Although the term isn’t used in the novel per se, it’s closely related to the language of the book’s totalitarian regime, Newspeak, which was used to push their political agenda. More than ever we can find traces of intentionally deceptive language in our society’s vocabulary. Consider the euphemism “downsizing” for “layoffs” and the now well-accepted use of manipulative language by the advertising industry and in politics. Consider too, the well-publicized term “alternative facts” used by Kellyanne Conway to defend the Trump Administration in 2017. As of Dec. 2018, the Global Language Monitor (GLM), based in Austin, pegged the number of words in the English language at more than 1 million, stating that about 15 new words are created per day. Combine that with the multiple definitions some words have and it can get messy. For this, I relied on the rebuttal evidence — any evidence that’s offered to explain, counteract, or disprove a witness account or testimony. If that evidence countered the above claim, I would be one step closer to a verdict. Critical to the “fetus isn’t a person” claim is the concept of personhood. Of course to understand why a fetus is or isn’t a person, we must first define person and find out who sets the definition. A good rebuttal gets to the bottom of that. While pro-choice at that time, I admit I hadn’t thought that “person” meant anything other than human. Boy was I wrong. Poring over dozens of essays on “personhood” from a variety of disciplines, I found that it’s a tough definition to pin down. As a sociological term, its definition varies across time, cultural context, and space. In theology, it got its start in Christological debates in order to describe the three persons of the Holy Trinity. In philosophy, it replaced the term “rational soul” back in the Enlightenment era. It meant different things to different ancient societies, such as the Greeks and Romans. Aristotle, Hippocrates, Plato, Tertullian, St. Augustine, and St. Thomas Aquinas all had different understandings of it. (Augustine and Aquinas both agreed that personhood involved ensoulment, but they disagreed on when ensoulment occurred.) In common law and ecclesiastical courts, personhood extended to the child in utero and abortion was generally prosecuted in Western society. Of course, when the passage was written (Reconstruction era, 1868), the term “person” was equivalent and interchangeable with “human.” The landmark Jan. 22, 1973 decision, however, created a paradigm shift in the legal definition of natural personhood, and this was a red flag. In what the legal community at the time saw as an extreme judicial overreach,3 the court ruled that the right to privacy granted under the Due Process Clause of the 14th Amendment extended to a woman’s right to have an abortion. As I read on, I noticed the court faced a dilemma. 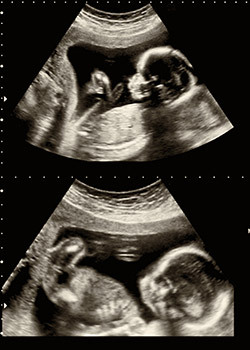 With that, the court struck down what Texas defended — that “life begins at conception and is present throughout pregnancy, and that, therefore, the State has a compelling interest in protecting that life from and after conception.” In the greater scheme, the court had crafted a new long-lasting definition of person — one which excluded the embryo (outright) and the fetus (until the third trimester or 28 weeks) Eventually, the court’s opinion in Planned Parenthood v. Casey reworked the trimester framework, moving the point of viability (around 22-23 weeks) in light of medical advances. 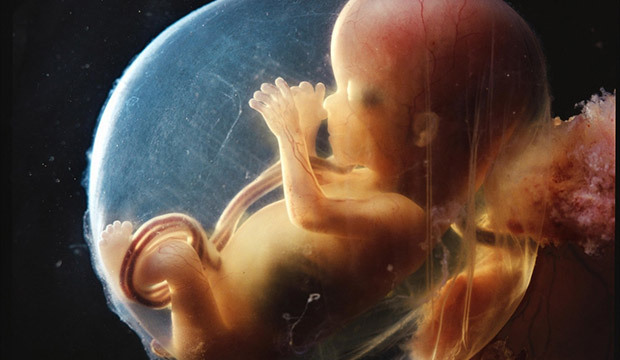 Through the reading of Roe and related documents, the “fetus is not a person” claim was falling apart as the definition it depended on was steeped heavily in subjectivism rather than science and objectivity. The rebuttal evidence was, so far, winning out. Within ethics, I again found no clear consensus for personhood. One extreme example I encountered was courtesy of a pair of ethicists writing for the Journal of Medical Ethics.7 In their now infamous 2012 essay, they arrived at the conclusion that “aborting newborns” should be allowed in all cases where abortion is because they’re not persons. 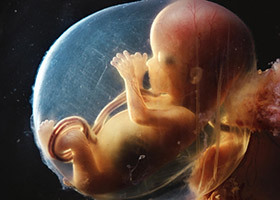 The authors admitted both the fetus and newborn are “certainly human beings and potential persons” but neither is a person worthy of a right to life yet. Not until they’re able to develop aims and have an appreciation for their lives. Then there were those who would take a scientific question and turn it into a theological one. Of course, we know that once it’s relegated there, it’s oftentimes dismissed as irrelevant to the discussion. So, I was ready to admit that the claim “a fetus isn’t a person” was wrong, and that changing that “isn’t” to an “is” would be in everyone’s best interest. The alternative — severing humanity from personhood and defining it ourselves — should give us pause. We’re pretty bad at it as our historical record shows; we too easily dehumanize (i.e., the Rwandan Genocide or the Holocaust). 1 Gilbert, Scott. “When Does Personhood Begin?” Swarthmore College, 2018. 2 Lumpkin, Lauren. “PETA put up a billboard urging Baltimore to stop eating crabs. It didn’t exactly go over well.” The Baltimore Sun, Aug. 24, 2018. 3 White, Byron R. Byron R. White Papers, 1961-1992. Manuscript Division, Library of Congress. 4 Roe v. Wade, 410 U.S. 113 (1973). 5 Woodward, Bob. “The Abortion Papers.” The Washington Post, Jan. 22, 1989. 6 Hensley, Jeff, et al. The Zero People. Servant Books, Michigan,1983. 7 Giubilini, Alberto, Minerva, Francesca. “After-birth abortion: Why should the baby live?” Journal of Medical Ethics, 2012. 8 Pacholczyk, Rev. Tad. “Do Embryos Have Souls?” Making Sense of Bioethics, March 2008. 9 Merleau-Ponty, Maurice. “In Praise of Philosophy and Other Essays.” Northwestern University Press, Chicago, 1963. Words have power. They can lift us up. They can express deep emotions like love, gratefulness, and joy. But they can also hurt and be misused.